Some advice for minimalist living is about remodeling. Finding a color palate that soothes and unifies the space. Buying simple pieces that work together. While all of that is great, it’s not something you’re going to do now. Tonight. This weekend. Working with what you have and getting rid of what you don’t need is where minimalism starts. These simple steps will start you on your path to a minimal living room. Element by element. We’ll clear out blockages, assess the purpose of each little thing and put stuff in the right order so you can start enjoying a cleared, calm and unified room. A room you’ll love to live in. Think about what you do in your living room. Sure, on New Year’s Eve you host a party but it doesn’t make sense to have seating for 12 every day of the year. Part of the brilliance of minimalism is finding more than one use for things. Your dining room or kitchen chairs are most likely portable. When you have guests over, move chairs around to accommodate. This means you only need seating you’ll use every day. Or close to it. A couch and two chairs will be enough for most situations. Of course if you’ve got a family of 7, you’ll need to adjust. But that old chair in the corner that you seem to only use for throwing jackets on? That can probably be donated. For your couch, you pretty much just need the couch. Pillows, throw blankets, bolsters, just add to the clutter. When you need a nap on the couch, grab a pillow from a closet. Put it back when you’re done. While that may seem like a pain and an extra step, the work it takes pales in comparison to the serenity (and ease of maintenance) that a cleared couch brings. Dust is a fact. Unless you live in a hermetically sealed house and wrap your family in plastic wrap, dust will get on things. Swiping a dust rag across a flat surface is approximately 2 million times easier than dusting around tables and mantles full of book piles, knick knacks and magazines. Keep your coffee table clear. A stack of art books looks nice in an interior design photo shoot. But in real life, they are a distraction to clean lines and one more thing to dust. Trinkets and knick knacks seem to multiply of their own accord. Candles, figurines, pictures — we often think they add to the look of the room, when in reality they take up space and dominate our vision. Imagine what a mantle top cleared of excess stuff will look like. If you like that vision, the next step is clearing the mantle. The goal isn’t to have zero things of interest in your living room. The goal is to have fewer things. A piece of art that you particularly love. A ship in a bottle that your grandfather left you. Showcasing just a few essential objects will highlight those treasures, giving them the focus they deserve. Living rooms were once focused around the hearth. Then it all shifted to focus the room on the television. 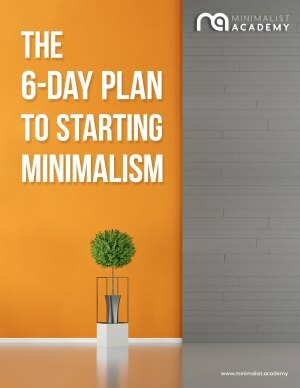 Many people are now changing course on that trend and minimalism fully supports that. If there’s another room of your house where watching TV can take place, use it and keep your living room as a place to gather, spend time, and live. If the TV does need to be in the room, think about ways to minimise its presence. There are many covers available that look like cupboard doors or even pieces of art that hide flat screen TVs. Since minimalism is about paring down as opposed to adding new stuff, you could also just use a simple piece of cloth to drape over the TV when it’s off. Covering the TV does two things. Since you have to remove it before you start watching, the extra step makes TV less of a default activity. Covering also makes the room more cohesive and smoothes the lines as it gets rid of the large void that a blank TV screen creates. Also be aware of excess wires. Find a way to hide them for a cleaner feel. Boxes with a hole in the top are a good choice. If you haven’t gone full streaming yet and still have DVDs, go through them. If you honestly think you’ll watch something again, keep it. If not, donate. Either way, what remains of your collection doesn’t need to be displayed. Get a DVD binder, load it up with your discs and store it out of sight. Even better, get a library card and “rent” DVDs from your local branch. Books might be the hardest thing to pare down if you have been collecting them for a while. When you finally take the time to go through them, use this test: Will you read this book again? Can you see yourself enthusiastically lending this to a friend? If the answer is no, donate it. You’ll easily get rid of a good percentage of your books this way. You may be tempted to add a little something to the space you just created on those book shelves. A picture or a trinket. Resist. Part of following the principles of minimalism requires getting used to a little emptiness. Spread out the extra space in your books to allow for negative space on each shelf. The books that remain will become all the more special for the absence of clutter. 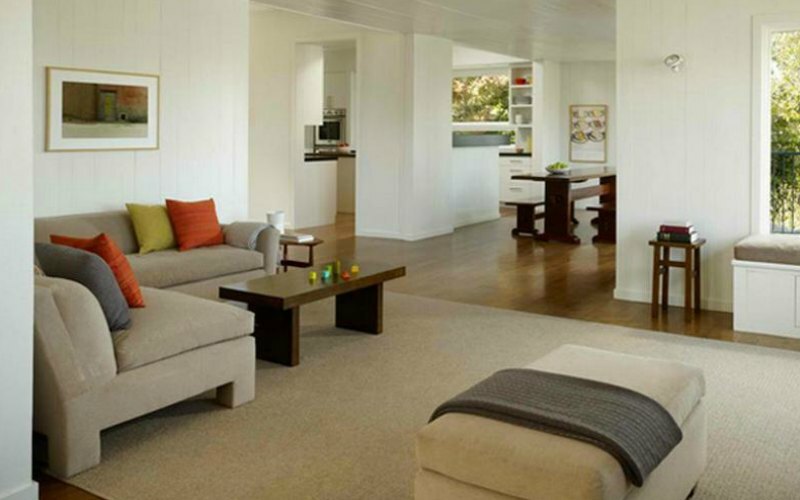 The living room is often a multipurpose room, especially in smaller homes. Many of us remember (or still live in ) our first apartment that had a bedroom, kitchen and bathroom, with the living room serving as the place for everything else you do. You probably already know what we’re going to say in regards to the desk in your living room. Keep it neat. Pare down the excess stuff. Don’t use your desk as storage. But here are a few things that will help you keep things minimal that you may not have considered. Old magazines have no place in the minimalist’s living room. When a magazine arrives at your house, read it, then recycle it. If you don’t read it right away, give yourself one week. If you haven’t read it by then, you probably aren’t going to. Recycle it. Then you might want to think about cancelling your subscription. A stack of mail is a physical “to-do” list. A better approach: deal with your mail the day it comes. Sign up for autopay and paperless billing for as many bills as possible. You’ll cut down on how much mail comes to your house and probably save yourself time. Any catalogue that arrives goes directly in the recycle bin. If you think you’ll want to browse later, head to the shop’s website. Families gather in the living room. If you have kids who play in there, don’t fight a losing battle. It’s pointless to clear all signs of children from the room. Take a minute to go through the toys with your kids ask them which ones they most like to play with in the living room and which could stay in the bedroom. Then create a simple place where the toys can return. Large baskets are great for this. At the end of the day, it’s just a matter of dropping the toys in the basket, and the room is tidied for tomorrow. We name the rooms in our house. The kitchen for cooking. We sleep in the bedroom. The living room then, that’s where the good stuff in life goes down. Naps. Movie night. Getting to know the people you invite over. There’s a way to get the most out of that room set aside for living your life. It all starts with assessing what you use and what is just getting in the way. Start small, clear out one or two things. Soon the freedom that comes from having less stuff around will take over. You’ll start to naturally avoid accumulating stuff you don’t need while honestly evaluating the stuff that remains. Once you get rid of the excess, all that will remain is a room dedicated to the best part of life. Living.